Your ego’s job is to help you stay in exactly the same place you currently are, incrementally making improvements, playing the same game you know to play. If the game you know to play is one of victimhood and not being to blame, your ego is the part of you getting better and better at proving its not your fault, pointing the finger, and admitting ownership in ways that are safe. If your game is to prioritize success over intimacy, and hope to resolve intimacy once you’ve finally gotten the success you crave, your ego is the part of you that keeps seeing the next rung on the ladder to climb, and reliably generates the wealth and success that makes others envy you. If your game is to do more personal development work than anyone else, and hope that this will put you above reproach, your ego is the part of you that keeps reaching for the next coach, leader or training program, and consistently finds ways to dismiss the uncomfortable piece of feedback in front of your face (“Well they just aren’t as conscious as I am”). Your ego’s job is to bend and distort whatever is put in front of you back towards the game that you already know how to play. Your ego’s job is to do this with the bad and the good. There is no distinction, no training, no coach /true enough/ that your ego won’t grab a hold of it and include it as part of your grand game. Whoever you hire as your coach, whatever book you read, your ego is actively at work, sabotaging the possibility for something outside of your game, and pulling you back towards the comfort of what is known — the comfort of what you are already good at. And then consider that the answer you just arrived at is also your ego’s game. If it feels like there’s no way out, that’s kind of the idea. You won’t get the better of your ego on your own — it’s cunning and baffling, and has access to all of the brilliance, generosity, kindness, playfulness and everything else that makes you who you are. 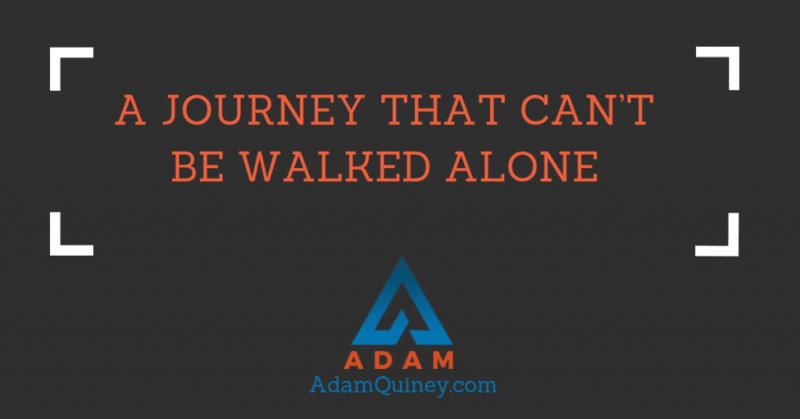 Instead, consider transformation is a journey that can’t be walked alone. Find someone outside of yourself — because they aren’t in your ego’s control. And then trust them. And simply know if they’re supporting you in playing a new game, your ego is going to do whatever is necessary to turn you against them. NB: This isn’t an invitation to set aside your faculties of reasoning entirely, nor an invitation to keep following that cult leader you’ve signed on with. For a deeper look into the similarities and difference between powerful leadership and powerful followship, check out this episode of Get Lit here.